Dr. Mony Fraer received his Doctor of Medicine at University of Medicine & Pharmacy, Romania. He did Post Doctorate and Master of Science in Health Care Delivery at Dartmouth Institute for Health Policy, USA. The clinical part of his work involves all aspects of care for patients with kidney diseases (including transplant, kidney stones, hypertension and dialysis) both in an inpatient and outpatient setting. He also continues to have a general internal medicine inpatient exposure. The teaching aspect of his job involves both formal/class as well as bedside/clinical education for trainees at different levels (students, residents of different specialties and nephrology fellows as well as peers - outreach, division and departmental lectures). From an administrative perspective he have been the Medical director for dialysis at University of Iowa, USA since 2015; in this role, he is responsible for the quality and safety, staff education and other aspects of the 7 dialysis units owned by the University. 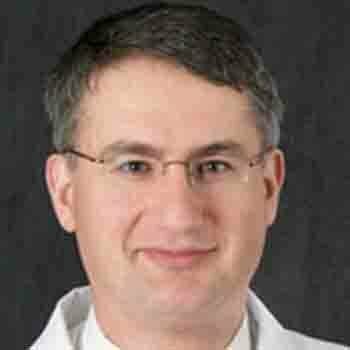 He is also a Quality officer in the Department of medicine and solid organ transplant, and Clinical Associate Professor at University of Iowa Health Care, USA. He is an author and co-author of many papers, which appeared on international journals, and received many honors and awards in the field of medicine.